Power supply units (PSUs) are often overlooked when building a desktop computer system. A poor quality power supply can greatly reduce the lifespan of a good system or cause instability. A high-quality one can also help reduce the noise or heat generated within a computer system. Whether you are buying one for a new computer or replacing an old unit, here are some tips for purchasing a desktop PC power supply. Most power supplies that are priced below $30 generally do not meet the power requirements of the latest processors. To make matters worse, the components used in them are of inferior quality and more likely to fail over time. While they may power the computer system, inconsistencies in the power running to the components will tend to cause instability and damage to the computer over time. Because of this, extremely low-cost power supplies aren't recommended. Developments in processors, the PCI Express bus and graphics cards have all increased the amount of power required to operate them. To help provide this extra power, the ATX12V standard was developed. The problem is that it has been revised over time with various different power supply connectors to meet the necessary specifications. Make sure that it comes with the proper main power leads that you need for your motherboard. One way you can tell whether a power supply is compliant with your computer components is to check the type of power connectors are supplied to the motherboard. If it is missing one of the connectors your motherboard needs, it probably does not support the proper ATX12V standard. Wattage ratings on power supplies can be deceptive as this is the total combined wattage of all the voltage lines and generally under peak rather than sustained loads. With the increased demands by components, the total required output, particularly for the +12V line, has become increasingly important especially for those that are using dedicated graphics cards. Ideally, a power supply should have at least 18A on the +12V line(s). The actual load you need will vary depending on your components. If you are not planning on using a graphics card, a 300 Watt power supply is probably sufficient but if you are running one or more graphics cards, be sure to check out the manufacturer's recommended PSU wattage. There are a variety of different power connectors that come off a power supply. Some of the different connectors include 20/24-pin power, 4-pin ATX12V, 4-pin Molex, floppy, SATA, 6-pin PCI-Express graphics and 8-pin PCI-Express graphics. Take stock of what power connectors your PC components require to ensure you get a power supply with the appropriate connectors. Even if it might lack some connectors off the power supply, check what cable adapters the power supply may include mitigating the problem. One other thing to consider is modular cables. Higher wattage power supplies tend to have a large number of cables running off of them. If you have limited space in your case, this may cause issues as you have to bundle the cables up. A modular power supply offers power cables that can be attached only if you need them. This helps reduce cable clutter which can restrict airflow and make it difficult to work within a computer. Most people don't give much consideration to the actual size of the power supply. After all, are they not all a standard size? While they are general guidelines for the size of the units, they actually can vary a good deal and make it difficult to git within your computer case. For instance, higher wattage power supplies tend to be a bit longer to hold the additional power components they need. This may cause issues with cable routing or even fitting in other internal components. Finally, if you are using a small form factor case, it may require a specialized power supply such as SFX rather than ATX. 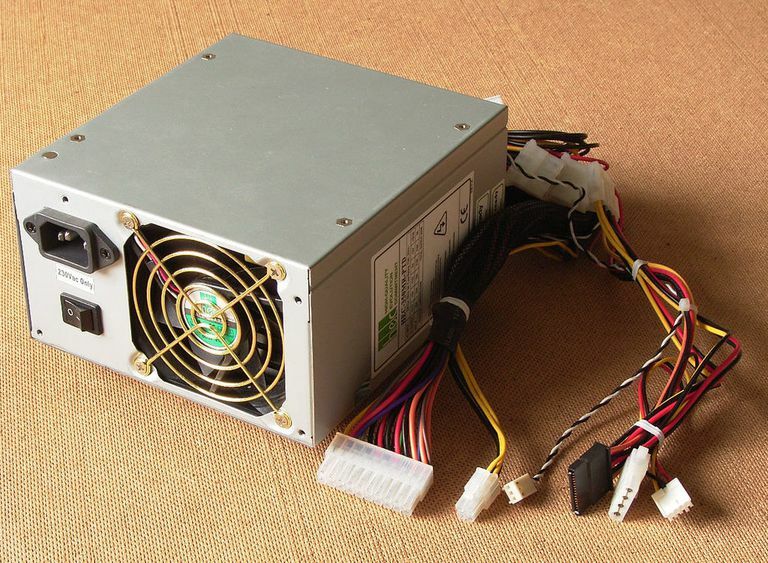 Power supplies generate a lot of noise from fans used to keep them from overheating. If you don't want a lot of noise, there are a number of options available. The best choice is a unit that either uses larger fans that move more air through the unit at slower speeds or to get one with temperature controlled fans. Another option is fanless or silent power supplies that generate no noise but these do have their own drawbacks.